The Grill at Smucker’s and Dienner’s Bar-B-Q Chicken, are two Pennsylvania Dutch stands serving sandwiches in Reading Terminal Market. You can’t miss Smucker’s, as it is right up the alley from DiNic’s Roast Pork and the main seating area. 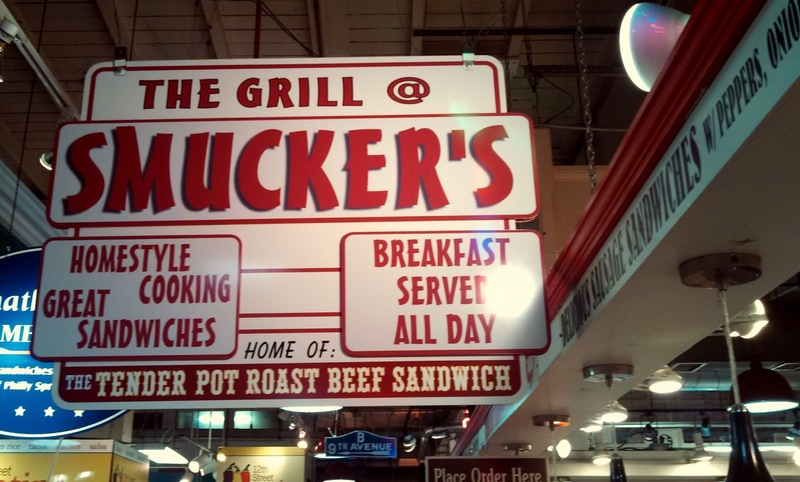 I was drawn to Smucker's after seeing the sign at left claiming it to be the "home of the tender pot roast beef sandwich." Did it live up to it’s own hype? It's an average sandwich option in Reading Terminal. 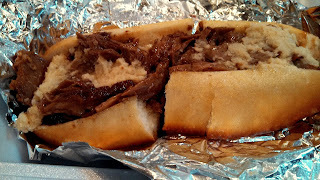 The pull-apart beef and a healthy dose of horseradish is a good combination, but I was hoping for more since a pot roast sandwich is usually more of a slam dunk. A little more gravy would have been nice. The price point is decent at $7.95. 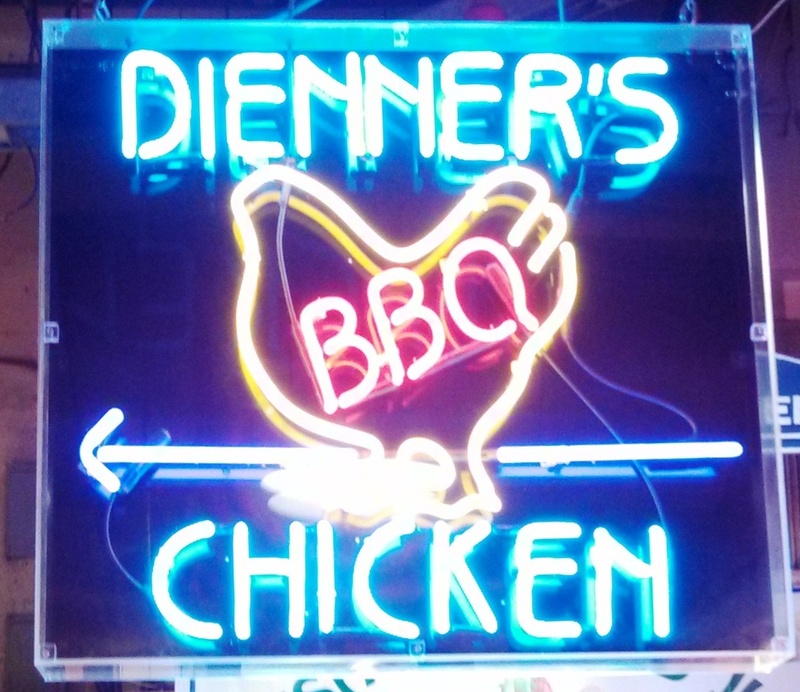 Dienner’s is almost hidden in the back of the market off the Arch St. entrance. The only sandwich option is pulled chicken ($7.59), which was the biggest disappointment of any sandwich I've had in Reading Terminal. It was served lukewarm and the sauce was bland. I kept wishing for more after every bite. Skip this one until you've had all the other outstanding sandwiches throughout the market. 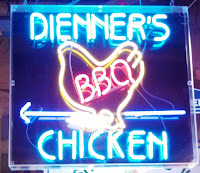 Unfortunately, I don't have a picture of the Dienner's pulled chicken sandwich since I first tried it several years ago and didn't keep the picture when I got a new phone. 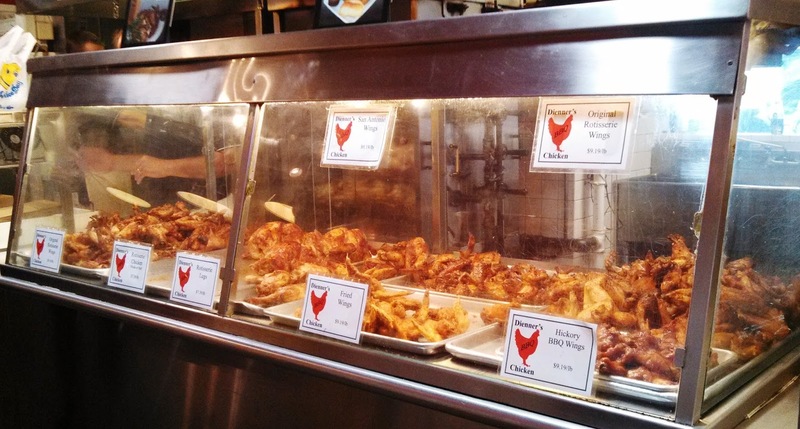 If you want to try another Dienner’s option, Philly Phoodie suggests the chicken wings, which cost $9.19 per pound. The wings do look good and there was a line of people ordering them. 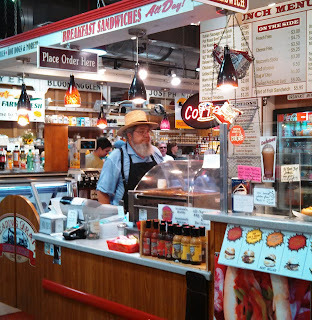 Overall, this Pennsylvania Dutch portion of Sandwich Quest was a bit disappointing, but stay tuned for a post on another Dutch treat, one of our favorite bites in all of Reading Terminal Market. Maybe the Rib Stand will also redeem the others once we get around to trying it. The things to go for at Smucker's are their breakfast sandwiches. Easily the best scrapple, egg and cheese in that part of Center City. And for only $5! They are egg sandwich wizards. Thanks Jay. I'll make sure to try the breakfast sandwiches. $5 is a great deal. Thanks for the tip.